what if you want to get rid of your ribbing cuff or bottom of your knitted piece for any reason? 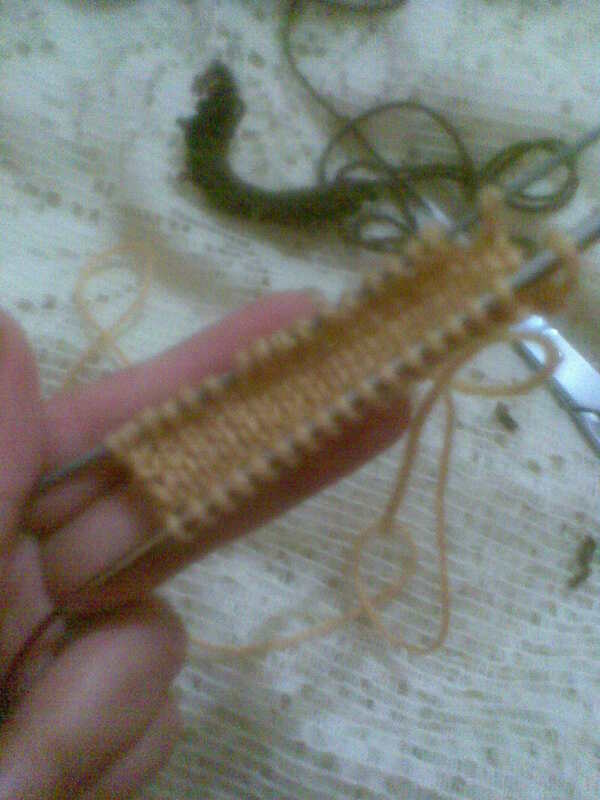 what if you want to replace the ribbing part or bottom part of your old knitted piece? 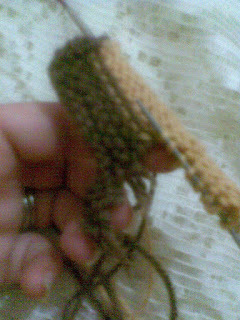 Actually It has happened with me that I have knitted an Aran poncho , and after I finished the first piece- which was lot of work- I didn't like the bottom. I have learned this technique to get rid of the bottom. Here are the pictures to know this technique. Suppose this small piece represents your knitted piece. 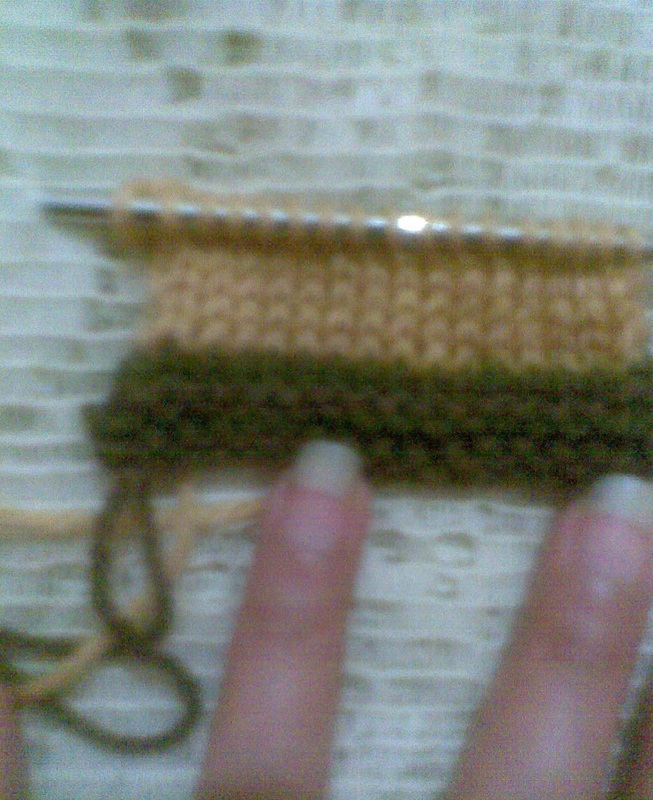 the brown part is the bottom, and the yellow part is the rest of your knitted item. I have used two colors to show you which part you will cut . So that brown part is the bottom, and the yellow is the rest which we will keep. 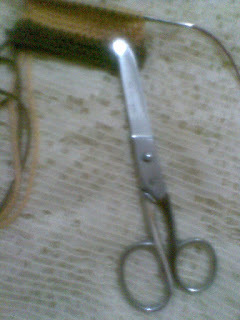 Now Bring scissors , and also another needle to pick up the alive stitches. Now which part you will cut. 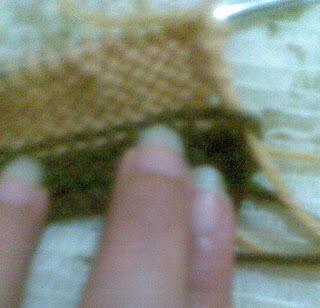 see the wrong side of the work and see the head of the brown stitches. like the next picture. 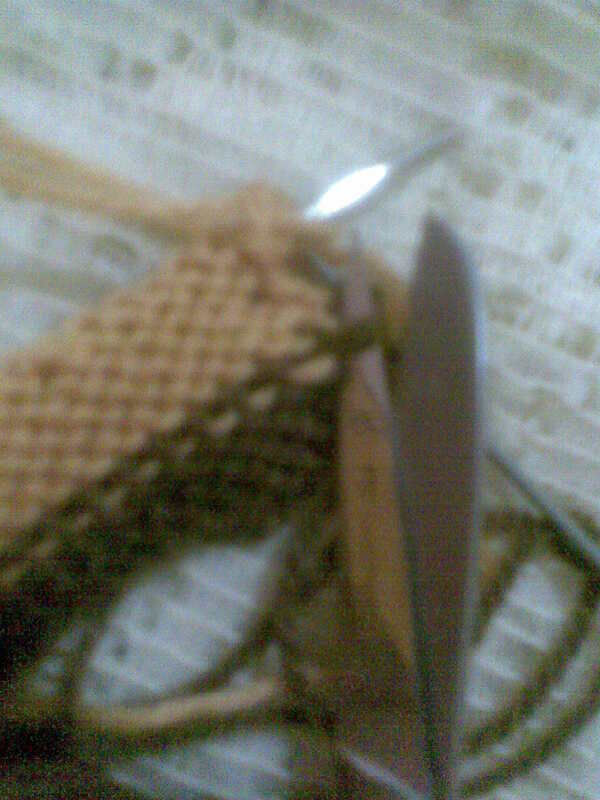 Now start to cut this part, and with the other needle pick up the yellow alive stitches. 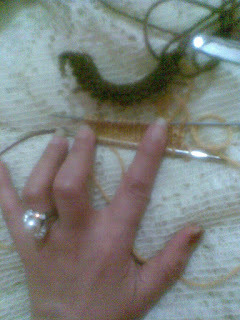 Be careful NOT to cut the yellow yarn. 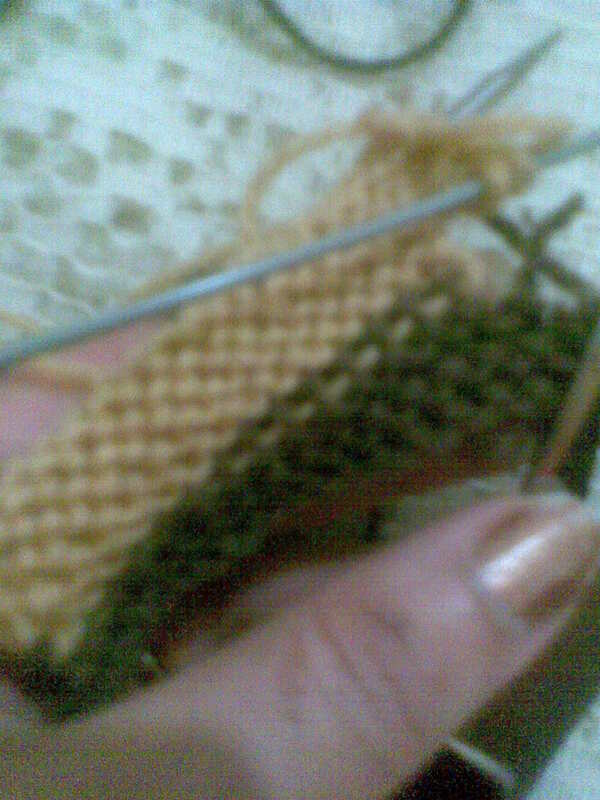 Now pick up the yellow stitches one by one to not lost anyone of them. Another picture to show you the progress. please try this in small swatch before you do it with your knitted piece. Hope it is useful.